Boldt Pools & Spas - We Know Pools, Patio and Hot Tub. We sell, service and repair inground pools, onground pools, aboveground pools, hot tubs, spas and patio furniture. Sign up. Save big. It's that simple. 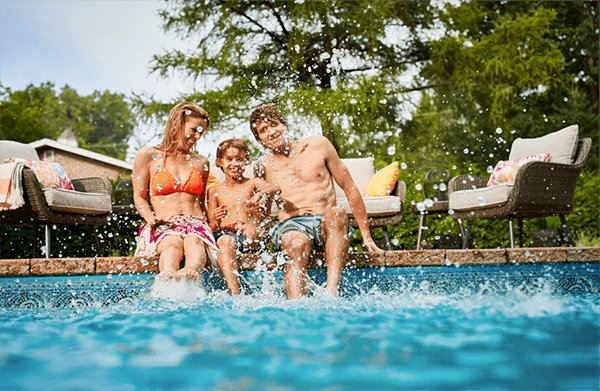 Creating your backyard oasis with an inground swimming pool is a great way to bring the family together. Whether you’re looking for relaxation and relief, or family fun and excitement, a pool is your answer. Finding the perfect set may depend on how you plan to use your outdoor space. We offer shading options, including umbrellas and gazebos, to make your outdoor experience as comfortable as possible. Whatever your backyard needs are, our knowledgeable sales associates can offer assistance in helping you achieve your vision. Let the experts do the work for you, with professional opening and closing services, liner and cover installations, backyard renovations, leak detection and now hot tub servicing and pad installation. No matter your issue, our team of service professionals is here to help. Why Choose Boldt Pools and Spas? Over 60,000 customers have chosen Boldt Pools & Spas to create their personalized backyard retreat. Many of our clients choose Boldt because of a friend or family referral, based on their own positive buying experience. So make a splash this season! With in-house installation, service, and the best sales staff in the industry, we hope that you will consider us in making your dream a reality. Read More About Our Story Here.